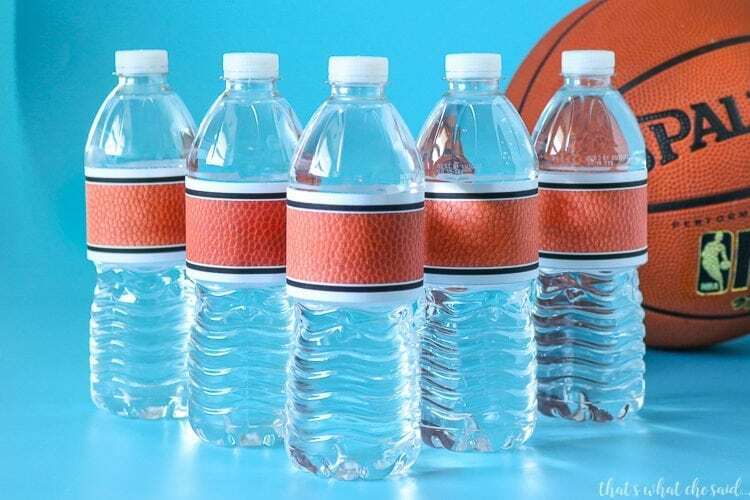 Basketball Water Bottle Labels are perfect for team snacks, basketball birthday parties, and March Madness fun! Download and print your own and make your party a 3 pointer! 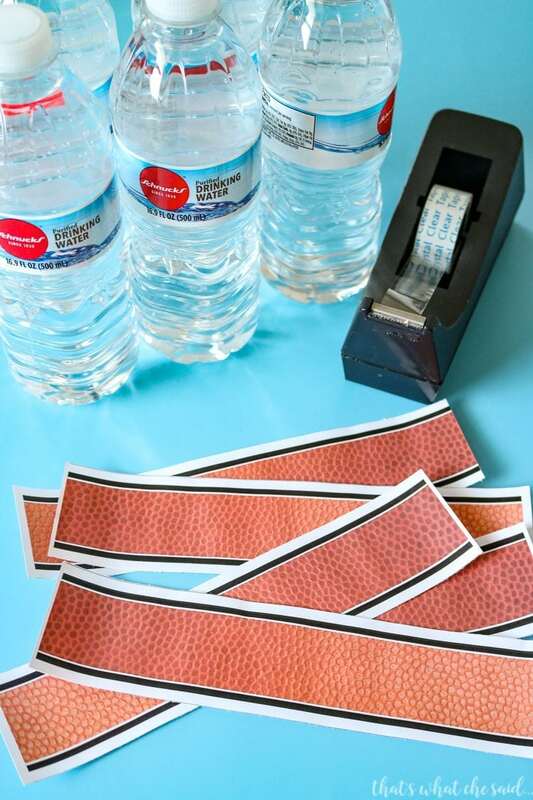 One of the easiest and most inexpensive ways to carry your party theme out is with water bottle labels. 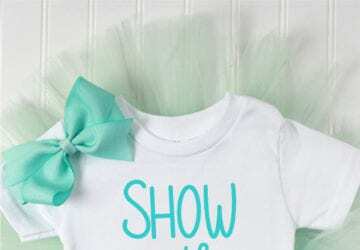 I like to make them for any occasion and they are so easy to assemble that you can give this job to the kids! You can download the printable below without a watermark. Be sure when you print that you print FULL. Sometimes printers will shrink down the image. Even at full mine left a small white margin along the outsides. 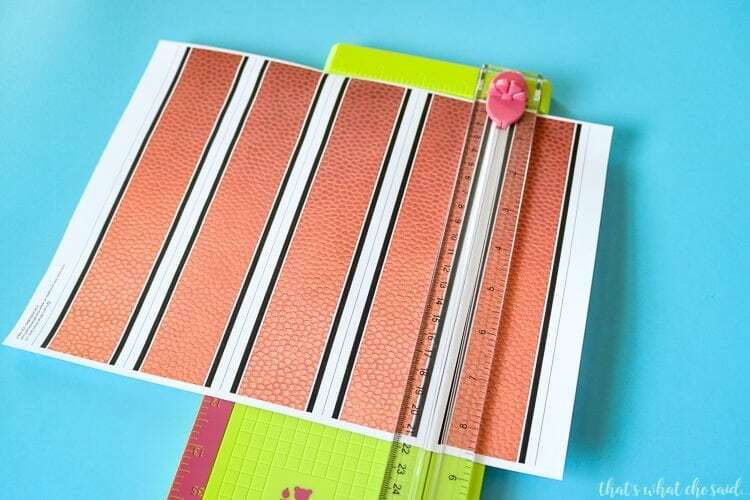 Start by using your rotary paper cutter and cutting along the cut lines for the labels. 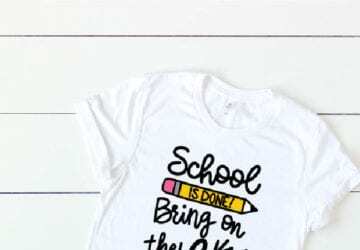 The rotary cutter is really the easiest and fastest way to do this! Be sure to trim the white margins off the left and right side as well. You can cut them by hand though as well. 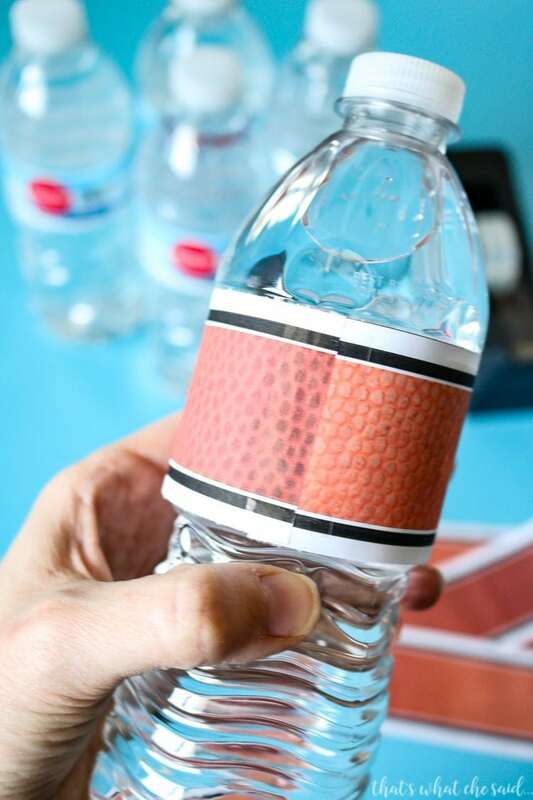 Wrap a strip around the water bottle and secure with clear tape. 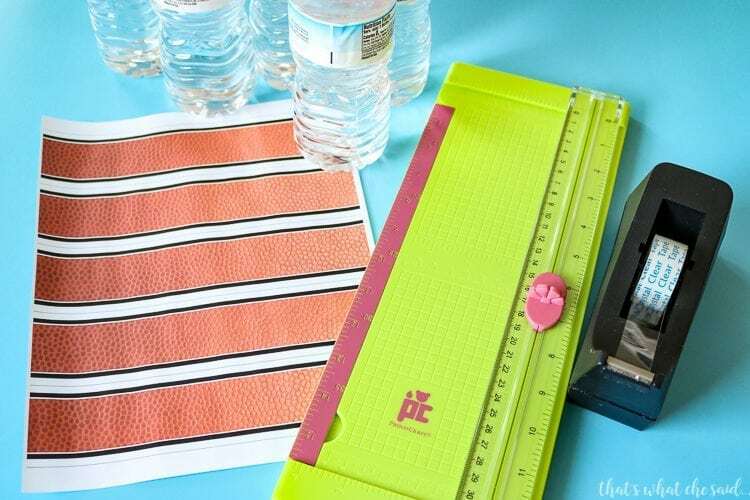 You can use regular printer paper but if you are putting these in a cooler they will get wrecked right away. 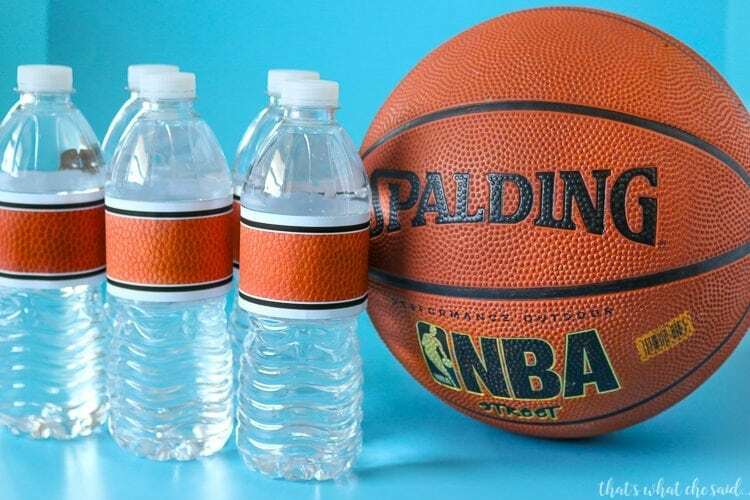 The glossy paper holds up the best to perspiration on the cold bottles. You are done! I told you this was easy!